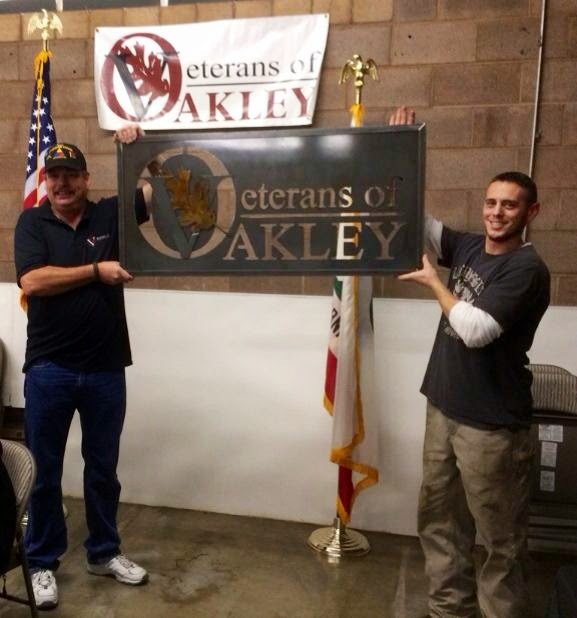 Veterans of Oakley president Randy Smith celebrates with fellow veteran Clint Rehak (Iraq Vet) as they move into and share the Old Oakley Firehouse site with the Oakley Senior Citizens. 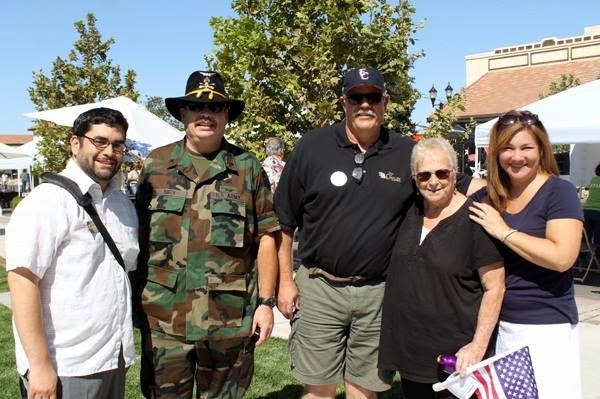 Joseph Camacho District Representative from California Senator Mark DeSaulnier's office, Randy Smith, President Veterans of Oakley, Kevin Romick, City of Oakley Council member, Shirley Darling President of Oakley Senior Citizens and Jennifer Quallick, Field Representative from Contra Costa County Supervisor Mary Piepho's office greeting all the veterans and thanking them for their service to our country. The driving force of the wedding of these two precious resources was and continues to be Shirley Darling, President of the Oakley Senior Citizens and Randy Smith, U.S Army Veteran and President of Veterans of Oakley. 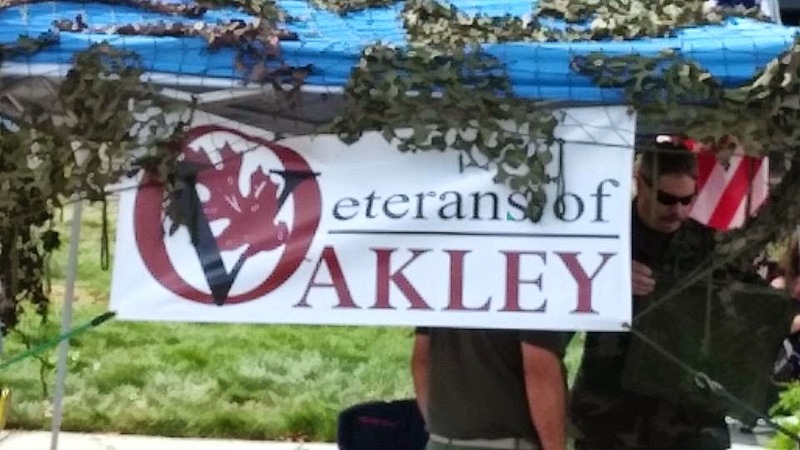 But Veterans of Oakley is not just dedicated to serving its own veterans but is also dedicated to serving the community as well as other Veteran organizations. 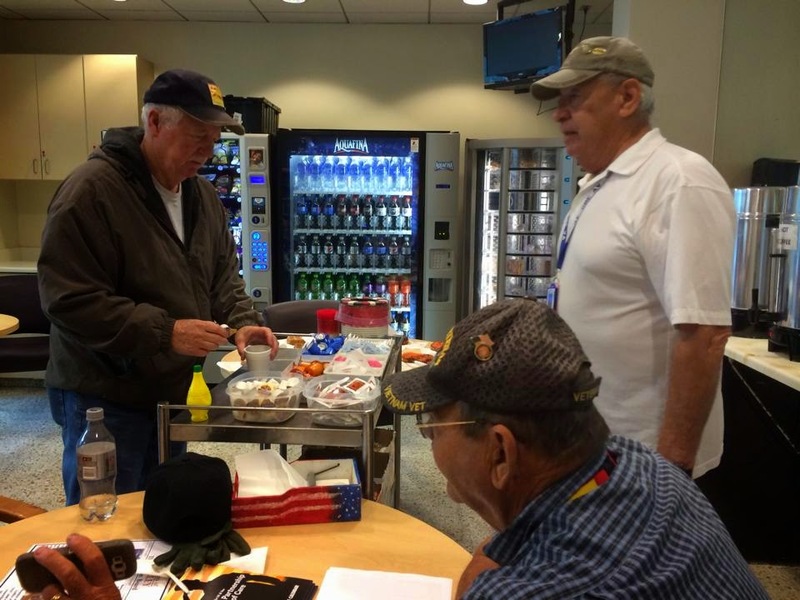 Veterans of Oakley members Emil Ramirez, US Army and Tim Barton, USMC, volunteering and serving coffee and donuts as well as good will to veterans at the Martinez Vets Clinic. 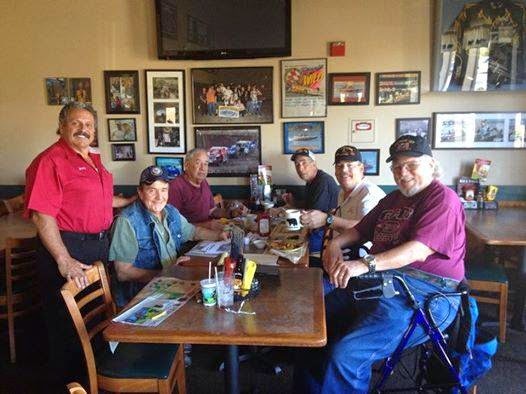 And every Monday morning at 930 AM Veterans of Oakley share coffee together at the Local Black Bear diner (where this whole idea was hatched several months ago) ~ whose proud Manager Jimmy Damico is shown here on the left with a few of these dedicated Veterans, which includes myself. 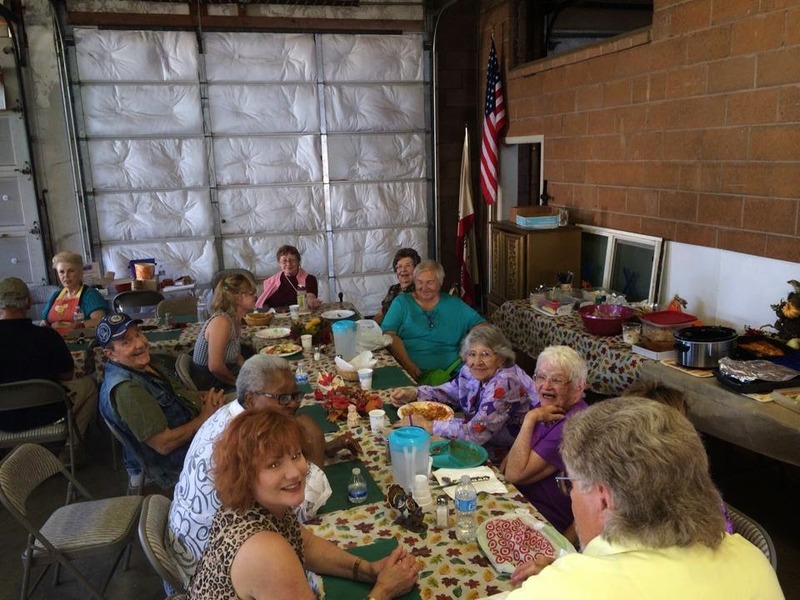 But the heart and soul of this story is Seniors and Veterans working together to make the Oakley community stronger and in the process serving as a model for other communities to emulate their success and dedication to service. Being in Service is a way of life for the Veterans of Oakley but now it's service to their community where it once was their country. The nationwide average age of a veteran is 64 years old so this marriage has obvious mutual benefits to both veterans and seniors ~ whose military family ties are both many and varied as to a war and service. This is a win, win for both organizations with the full and enthusiastic blessings of the city of Oakley. I'm a disabled active duty Navy veteran who was born in Boston, Massachusetts, survived a dysfunctional family, pursued and lived my dreams, including being a Navy carrier fighter pilot. I found myself by fully opening my heart, wrote three books, sired four children and I'm still living my ultimate dream by making a difference from a place of celebration and service. My 1998 PhD dissertation on the UNIFIED FIELD was chosen by Noetic Science and Common Boundary as one of the top three world finalists on combining psychology and spirituality. I retired from my private practice in 2014, because of my service connected asbestosis related lung disease, and live in Antioch, California but still remain involved as a featured columnist on Veterans Today and heart centered spiritual consultant and advisor ~ particularly with combat veterans with PTSD as well as others with PTHD ( Post Traumatic Heart Disorder).